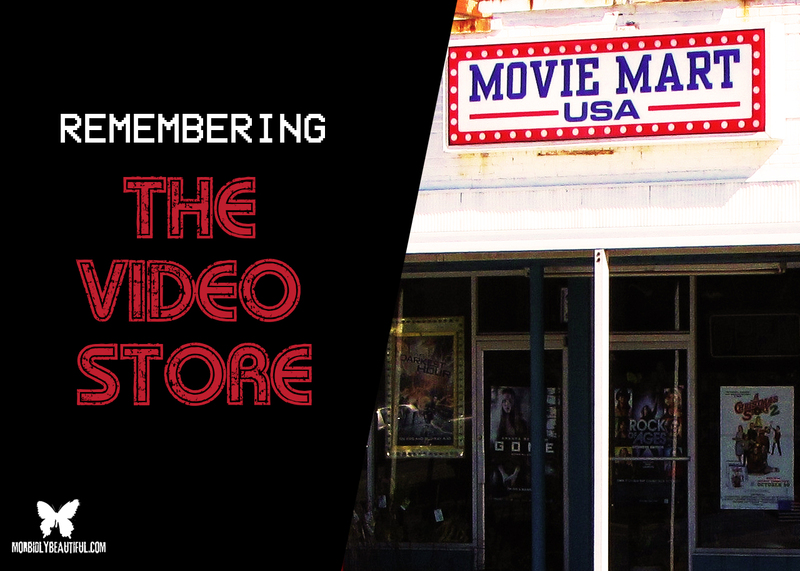 The rise and fall of the video store was an event that helped shape a significant portion of lives, especially lovers of the most prolific genre in the business. Video stores nowadays are basically obsolete, although there are still a very small amount that continue to stand to this day. Remember hopping in your car and jetting to the video store on a Friday night? 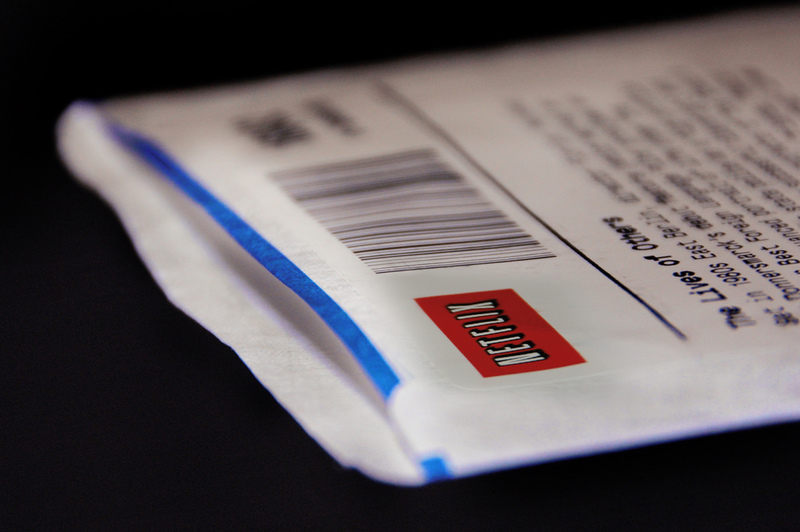 Seeing everyone in your neighborhood there, scouring the shelves for the newest releases. Rows upon rows of cover boxes appealing to your inner most desires and the smell of candy and popcorn percolating throughout the store. It was the locale to be at that time, a place that brought people together. Hitting the video store each and every week was somewhat of a tradition in my family. It’s where I first discovered my inane, intimate desire for film, especially that of the horror genre. Video stores helped sculpt my life in a number of ways. And thanks to those local stores in my area, I was able to watch and purchase my first horror films. It was comforting just being around movies, wading through the categories and seeing all the old classic films. I remember fighting tooth and nail with other customers, trying to grab a copy of popular new release that I’d been adamant about viewing. I cherished visiting each week, checking out the majestic wave of new films and adding depth to my ever growing movie knowledge. Sprouting up sometime around 1977, video stores were magical places filled with mind bending adventures from which you could escape and forget about your woes for a while. It’s where you could lose yourself in another time or dimension for a few hours, putting your problems on the back burner as you searched out the perfect film to view. Places like Blockbuster and Hollywood Video were responsible for my discovery of the specific types of films I enjoyed watching. 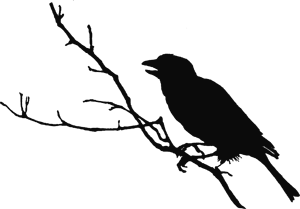 It’s where I figured out that I have a tendency to love movies that the majority of viewers find drab and repugnant. I still remember my dad letting me tagalong as he ventured to a store called “Valley Video” near our house. It was a small, hole in the wall, mom and pop type store. I was around eight at the time and I remember being drawn to a cover box that displayed a cool, relatively slick looking doll on the front. For weeks on end, every time I was lucky enough to ride along, I would beg and plead with my father to rent the movie with the dolls face on it. Luckily for me, my father eventually gave in and rented the film “Child’s Play”, which would end up being the first horror film I ever had the pleasure of viewing. I was consumed and amazed at the bright lights and alluring pictures. I remember feeling a deep admiration for the employees behind the counter, hoping one day I could join the ranks and inch myself that much closer to the films I held in such high regards. Little did I know, my path would eventually lead to me becoming a contributing member of a video store family. Purchasing my first horror film from a video store when I turned eighteen, was a milestone in my horror life. I was beyond excited to pick up a used VHS copy of the classic, SILENCE OF THE LAMBS. I remember being so eager to watch my newly owned horror film that I couldn’t wait to get home. The purchase of that film would eventually lead to the consumption of my vast, constantly expanding horror film collection. A collection I’m very happy to be the owner of, I might add. Working at a video store, on the other hand, was a completely different kind of experience altogether. A dream come true really. Surrounding myself nightly with walls of overflowing VHS films was literally like something out of a movie. I was able to get dibs on films before they were officially released, having my pick to choose from, specifically horror. Watching and talking about films every week as a part of my job, was something I held dearly close. 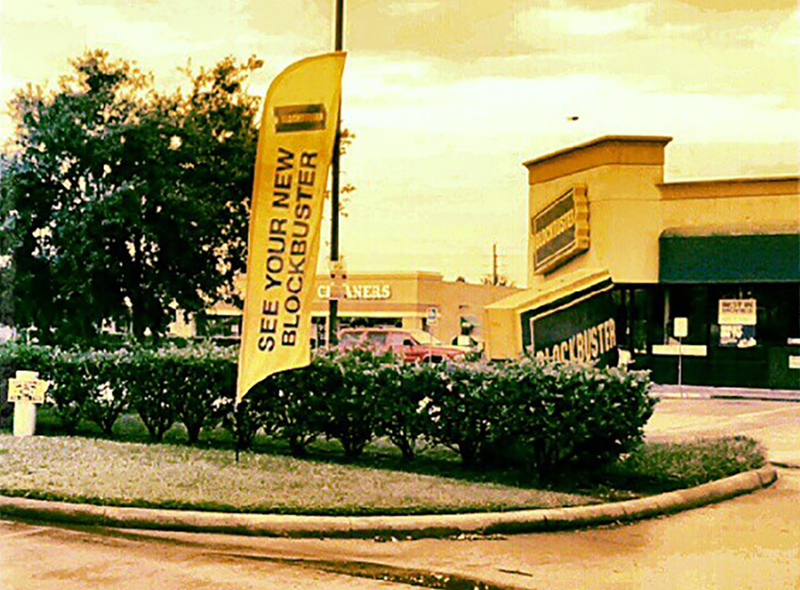 I remember believing that soon video stores would be a thing of the past. An eventual nighttime story to tell your children about. I watched VHS tapes give way as DVDs burst onto the scene, taking their rightful place amongst the shelves. It’s an odd thing to see now, with VHS making such a huge comeback as collector items. For me, the nostalgia of video stores has all but vanished, and we’re now faced with watching films online or renting them from the nearest Redbox. What used to be a spectacle filled journey, taking hours and having fun while sifting through the store amongst the crowds of people, has now been shortened to simply a matter of minutes as you quickly look for something to rent while others stand impatiently behind you, anxiously awaiting their turn. 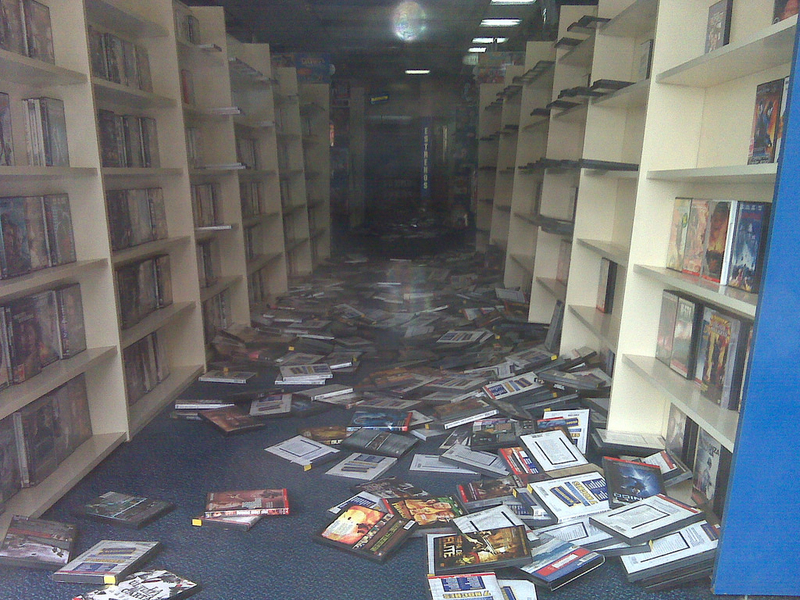 The adventure of visiting your local video store is pretty much now, a thing of the past. 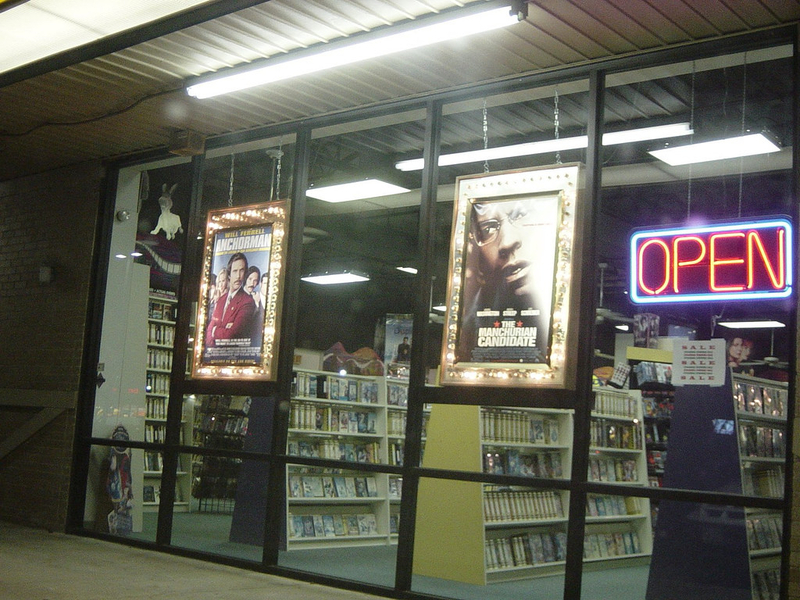 I miss everything a video store brought to the table, and I’m positive I’m not the only one. What I wouldn’t give to see a re-birth/re-emergence of video stores, something I feel the industry desperately needs once more. 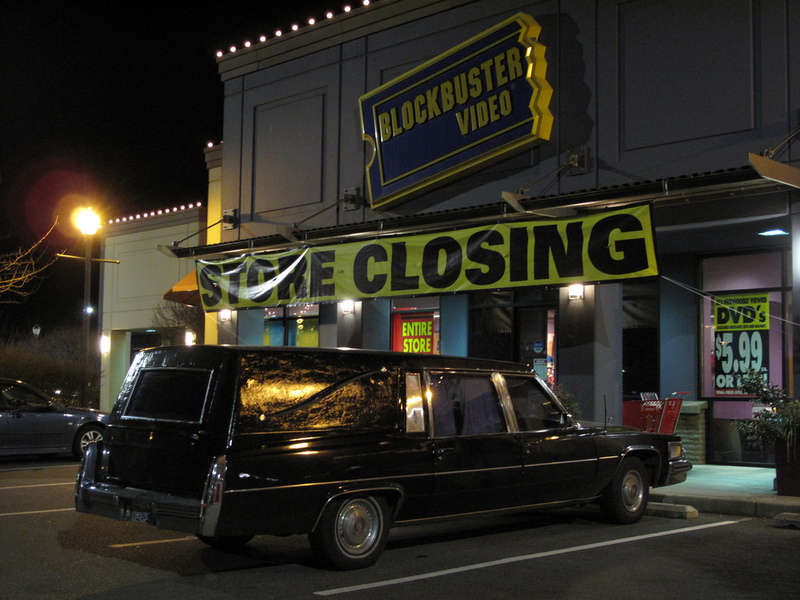 In 2013, video rental stores were cycling to a close, as Blockbuster Video joined fellow companies Movie Gallery and Hollywood Video, shutting their doors and closing down all stores nationwide. However, in 1997, a man by the name of Red Hastings, upset over a $40 “late fee”, decided to tap into the rental market and created a video rental service that charged an extremely low monthly fee. That online video service, Nextflix, went on to dominate the once flooded market with ease. In 2000, Blockbuster Video scoffed at the possibility of purchasing the online rental service Netflix, which would have cost them around $50 million to obtain. By 2014, as a result of the decline, another company by the name of Redbox went on to become the owner of half of the DVD rental market and around forty percent of all film rentals in general, including the VOD market as well. 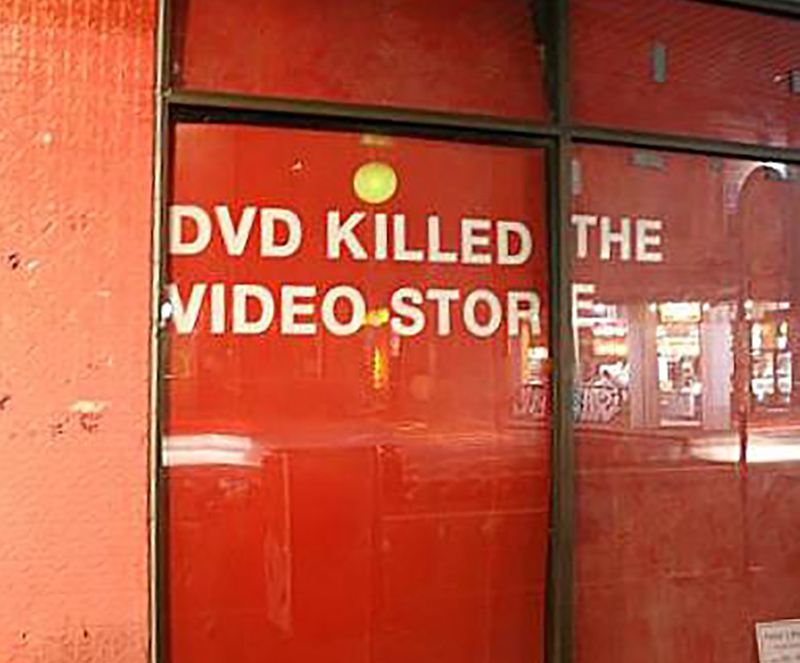 Sadly, things are no longer like they used to be, and the depletion of video stores goes hand in hand with the lost chance of discovering hidden treasures buried within the walls. So, with the unfortunate closing of video stores across the U.S., we are left with nothing but fond memories and a bittersweet taste in our mouths. What was once a nostalgic piece of the American Pie has now officially been sliced and discarded of, robbing us of a once great pastime, leaving us reminiscing of a time not long forgotten.